This is a guest contribution written by Nick McCullum from Sure Dividend. It wasn’t long ago that high-flying technology stocks were one of the last places that investors would look to for dividend income. In the past, technology stocks retained most (or all) of their earnings to fund internal growth. However, the days of dot-com mania are over. Today’s technology sector is a surprisingly good source of high-quality dividend growth stocks. Blue-chip stocks like Apple (AAPL) and Microsoft (MSFT) have been rewarding shareholders with dividend income for years now. This article will list (in no particular order) the 5 best dividend technology stocks along with metrics that matter – including dividend yields and price-to-earnings ratios. 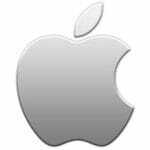 Dividend Technology Stock #1: Apple Inc.
Apple NASDAQ:AAPL is a consumer electronics company best known for its iPhone, iPod, and MacBook products. Apple was founded in 1976 and has grown to be the largest company in the United States by market capitalization, with more than $800 billion of common stock outstanding. Apple is also an attractive dividend growth stock. After stopping dividend payments in 1995, Apple re-initiated dividends in 2012 and has increased its quarterly payout each year since. Apple’s dividend history since the payment was re-initiated can be seen below. Apple currently pays a quarterly dividend of $0.63 per share, which is good for a forward dividend yield of 1.6% based on its most recent closing price of $156.10. Apple has a below-average dividend yield, so it might not be the best technology dividend investment for shareholders seeking current income. With that said, Apple is attractively valued (even after its recent stock price run-up). The company’s current stock price is an 18.8x multiple of 2016’s adjusted earnings-per-share. Apple’s valuation is even more attractive if you account for the ~$250 billion of cash and equivalents on the balance sheet of this technology conglomerate. Discounting the company’s excess cash, Apple is a bargain compared to the rest of the stock market and merits further research. 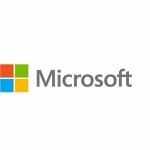 MicrosoftNASDAQ:MSFT is the world’s largest software manufacturer and also develops hardware products such as the Xbox and the Surface tablet. The company was founded in 1975 and was grown to a market capitalization of $521 billion. Microsoft’s dividend was initiated in 2003 and has grown rapidly since then, compounding at ~12% per year on average. Microsoft’s dividend history can be seen in detail below. Microsoft’s current quarterly dividend of $0.39 per share means the current $68.38 stock price is priced at a 2.3% dividend yield. For context, investors generate slightly more income from Microsoft than the rest of the stock market on average. Unlike Apple, Microsoft’s valuation is higher and more in-line with valuation expectations for a fast-growing technology stock. The company’s adjusted price-to-earnings ratio is currently 24.5 – which is roughly equal to the valuation of the broader stock market (as measured by the S&P 500). IBM NYSE:IBM is a diversified multinational technology company that manufactures both hardware and software. IBM also has a booming services business. The company was founded in 1911 and has grown to a market capitalization of $141 billion. Of the companies on this list, IBM has by far the most impressive dividend history. IBM has paid uninterrupted dividends since 1916, and has increased its annual dividend payments for 21 consecutive years. This means that in 4 years – barring any surprising dividend cuts or freezes – IBM will qualify to be a member of the Dividend Aristocrats, a group of stocks with 25+ years of consecutive dividend increases. You can see IBM’s consistent trend of steadily increasing dividends in the following diagram. 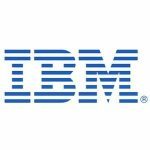 Note: IBM did cut its dividend in 1993, which reset its dividend increase history. IBM’s current quarterly dividend of $1.40 per share yields 3.7% on the company’s current stock price of $150.37. For context, this means that IBM generates almost twice the current dividend income as an equal investment in an S&P 500 index fund. IBM is also attractively valued, particularly considering it is a technology stock. The company’s current stock price is just a 12.1x multiple of 2016’s earnings-per-share (using adjusted earnings). Thus, IBM’s valuation is approximately half as expensive as the aggregate stock market (as measured by the S&P 500). 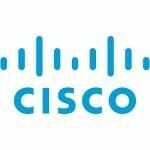 Dividend Technology Stock #4: Cisco Systems, Inc.
CiscoNASDAQ:CSCO is a multinational technology company that focuses on networking hardware, telecommunications equipment, and Internet of Things connectivity devices. The company was founded in 1984 and has a market capitalization of $167 billion. Cisco paid its first dividend in 2011 and has steadily increased its payout ever since. Cisco’s dividend history can be seen in the following diagram. Cisco’s current quarterly dividend of $0.29 per share yields 3.5% on the company’s current stock price of $33.45. Cisco’s dividend yield is very attractive compared to the average dividend yield of the overall stock market – around 1.9%. Cisco’s stock is also attractively valued, currently trading with a price-to-earnings ratio of 14.2 (using 2016’s adjusted earnings-per-share). Cisco’s dividend yield and price-to-earnings ratio are both substantially more attractive than the rest of the stock market – thus, Cisco appears to be a suitable stock for further research. 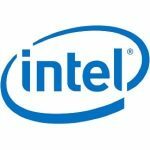 IntelNASDAQ:INTC is the world’s largest semiconductor company. Intel was founded in 1968 and has grown to a market capitalization of $166 billion. Intel paid its first quarterly dividend in 1992 and has grown its payout at an impressive pace since. Intel’s dividend history can be seen in the following diagram. Intel’s current quarterly dividend of $0.2725 is good for a dividend yield of 3.1% based on the company’s current stock price of $35.53. Based on yield alone, Intel is a much better investment than your average S&P 500 index fund. The company’s valuation is similarly compelling. Intel’s price-to-earnings ratio is only 13.1 (using 2016’s adjusted earnings-per-share), which makes Intel an absolute bargain in today’s market. Thus, Intel is a great stock for further research and potential investment. To invest in high-quality businesses, you must find them first. This article listed 5 high-quality dividend-paying technology stocks. It did not rank them in any order according to investment prospects. A database of high-quality stocks is most powerful when investors use a quantitative system to rank it. To that end, Sure Dividend uses The 8 Rules of Dividend Investing to systematically identify and rank dividend growth stocks. Of these 5 stocks, IBM ranked as a top 10 stock in the May edition of the Sure Dividend newsletter thanks to its high dividend yield, low price-to-earnings ratio, and strong growth prospects.